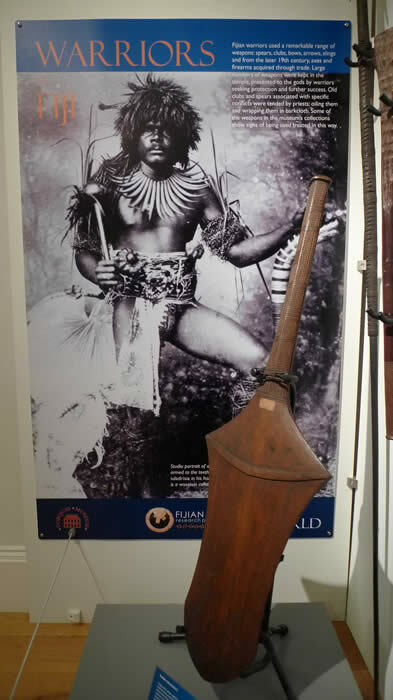 The Torquay Museum, on 21 September 2013, opened an exhibition featuring its Fijian material. Helped by the Fijian Art Research Project, namely Andy Mills and Karen Jacobs, Far Side of the World: Torquay's Fijian Connection, is the first of the project's exhibition packages to be realised. Curated by Mr Barry Chandler, Torquay's exhibition highlights aspects of Fijian art, society and culture using significant objects from their own collection, supplemented by historical photographs from the MAA. The museum's Fijian material was donated by three prominent members of colonial 19th century Fiji: Adolph Brewster Brewster, Arthur Hebden Ogilvie and the Honourable Charles Richard Swayne. Visitors to the exhibition will be able to see adornments, weapons, tools, pottery, barkcloth, baskets and many more interesting objects until it closes on 22 February 2014. For more information on the exhibition and the museum, please visit their website. As an additional supplement to the exhibition, Andy Mills will be giving a public lecture on Fijian art and culture on Tuesday 8 October 2013 at the Torquay Museum. 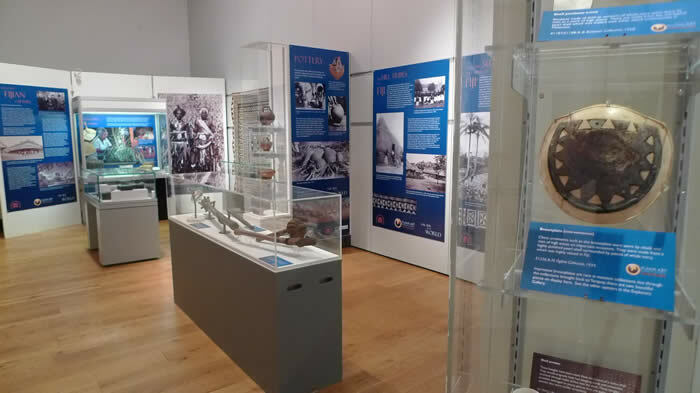 The project is very pleased that it was able to help Barry and the Torquay Museum realise this exhibition through our exhibition packages and wish them congratulations on its opening! 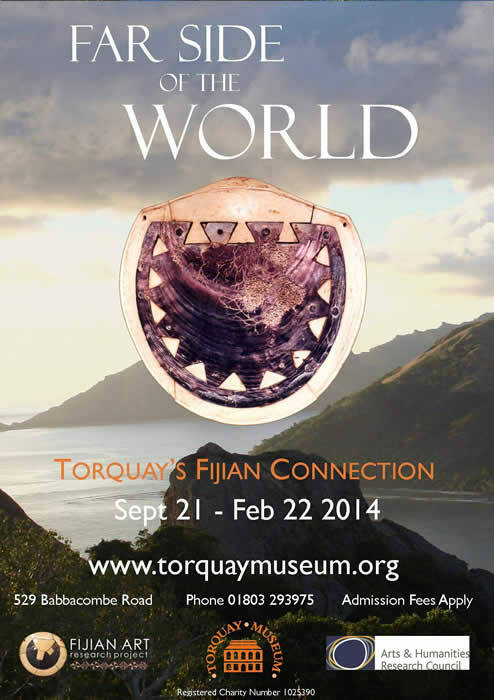 A view of the new Fiji exhibition at the Torquay Museum, open from 21 September 2013 to 22 February 2014 (photo: Torquay Museum). Above: One of the display cases in the new Fiji exhibition at the Torquay Museum, open from 21 September 2013 to 22 February 2014 (photo: Torquay Museum).